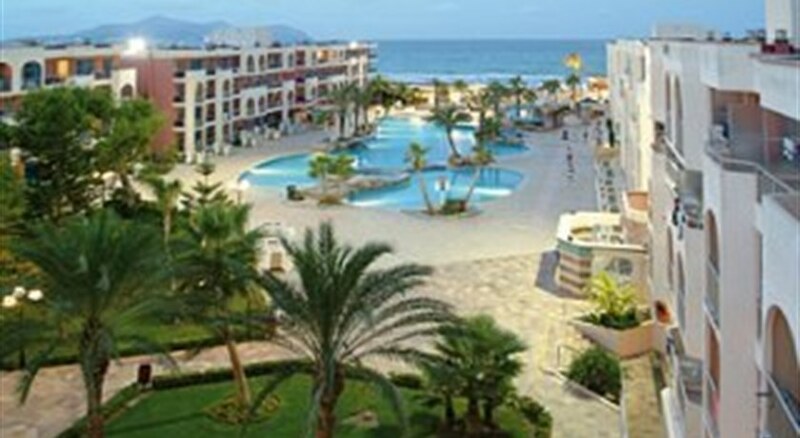 Alcudia Pins is a 3-star hotel positioned between the sandy five-mile stretch of Playa de Muro beach and the majestic sand dunes of Albufera Nature Park, in Majorca. The warm, shallow waters of nearby Alcudia Bay make it a hot favourite for family holidays and there are a profusion of excellent bars, restaurants, shops and a great golf course nearby. The hotel has 598 rooms (mostly with sea views) alongside six spectacular swimming pools, a luxurious lagoon, four restaurants, a trio of bars, and daytime and evening entertainment – including fantastic facilities for children. Every taste is catered for and you can wine and dine in a selection of superb restaurants, from buffet-style meals to a la carte menus and a tasty tavern by the sea. 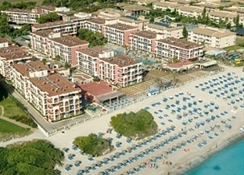 A great choice for fun-loving families with easy access to Alcudia's top attractions and towns. Alcudia Pins is situated in the north of Majorca, just 3 km from the centre of Can Picafort and 6km from the seafront town of Puerto de Alcudia. There’s a fantastic golf course about 8km away too if you want to get into the swing of things, with a sea view to match. It’s 60km from the Palma international airport. 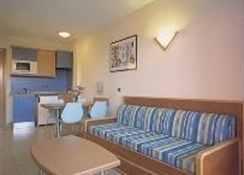 The hotel is surrounded by beautiful gardens and offers 598 apartments with 2,200 bedrooms across four floors. While the rooms come with pretty, private balconies and terraces, most also feature amazing views of the sea. The hotel is free of architectural barriers, allowing easy movement for the handicapped. Pick from buffets for your meals at the main restaurant, which includes a children’s menu and vegetarian options. Dine a la carte at BBQ, Taverna and Green & Grill restaurants. Relax over drinks at the bars, which include Bar Salón Mediterráneo, the Snack Bar Theas Coffee Shop, the Bar Show and Pool Bar. Or simply grab and go with pizzas, burgers and beers available over a barbeque. If you fancy exploring the local cuisine, drive down to the centre of Alcudia, where you'll find a wide choice of bars and restaurants to try. 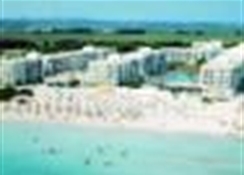 Go swimming in the lagoon-style pool, let kids have fun on the water slides and play mini golf with the family. A kids’ club keeps the little ones busy with activities, animation and entertainment. You can also get a game of tennis, table tennis, basketball and beach volleyball in, too. Head to the beach for some quality watersports such as scuba diving in the crystal clear waters, or why not explore by horse-back or bike? 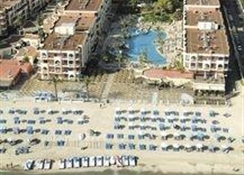 The hotel is located next to the beach. It’s 3 km from the centre of Can Picafort. There’s a golf course about 8 km away. It’s 60 km from the Palma international airport.